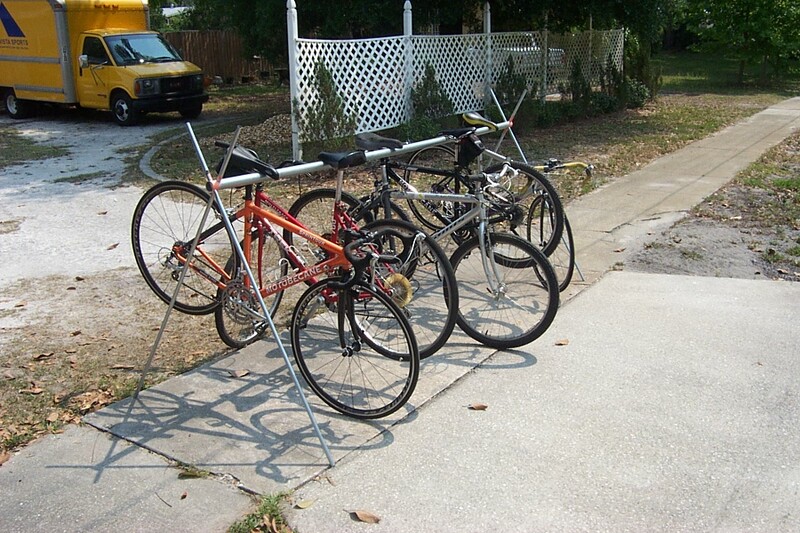 The original Triathlon Bike Rack (TBR-8) in action at St. Anthony's Triathlon. 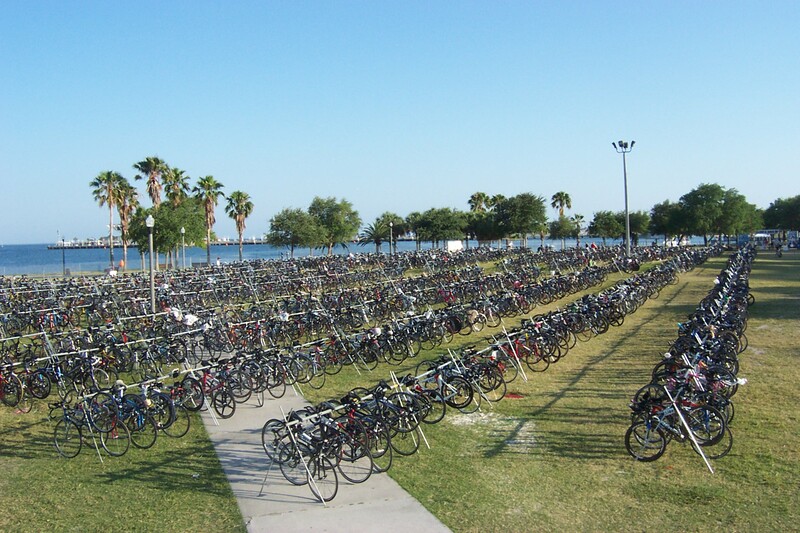 Approximately 4000 bikes on 500 racks. 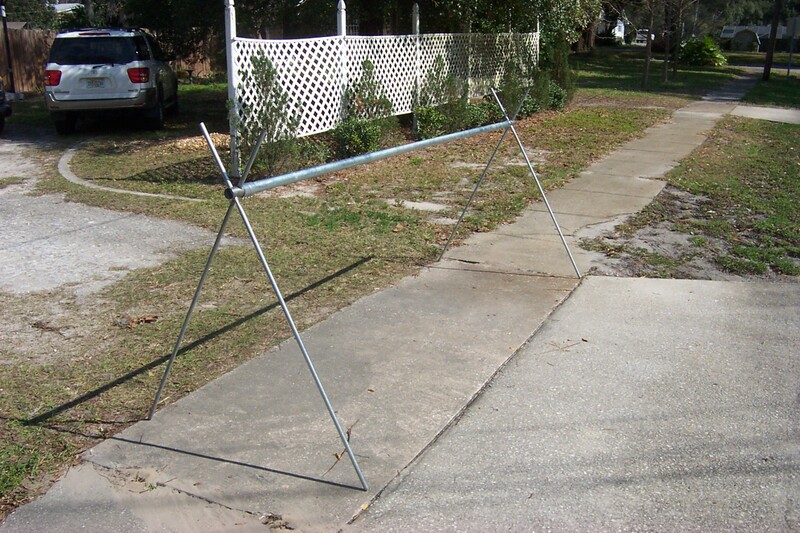 Includes 2 x Bracket/Couplings and 4 x Legs. Customer must separately source the main beam. 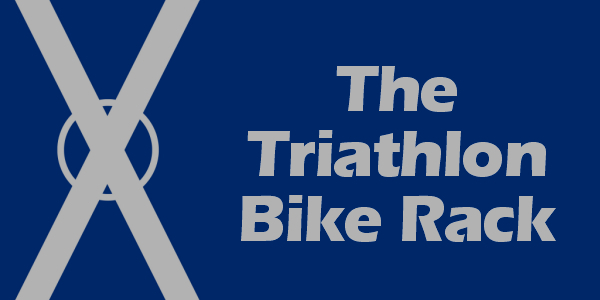 Assembled Triathlon Bike Rack - Kit (TBR-K). 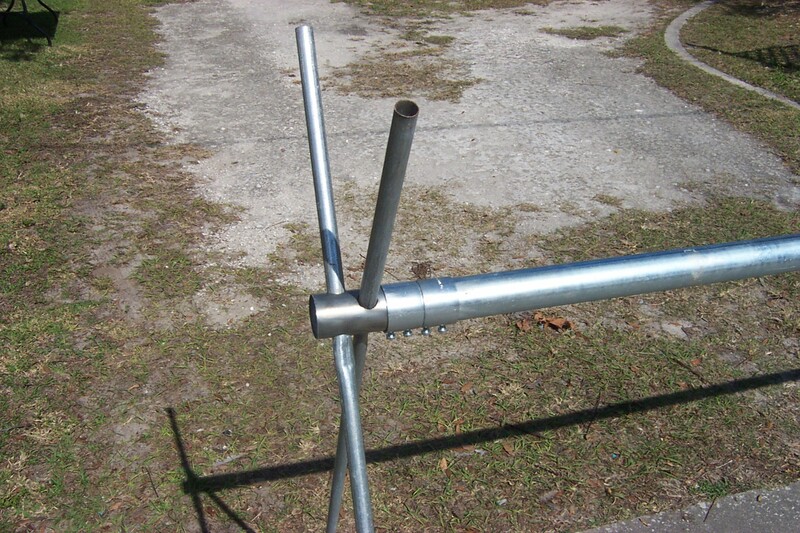 Closer view one end of an assembled Triathlon Bike Rack - Kit (TBR-K), with set screws inverted. From left to right, side-by-side comparison of the TBR-K, TBR-8, and TBR-6.